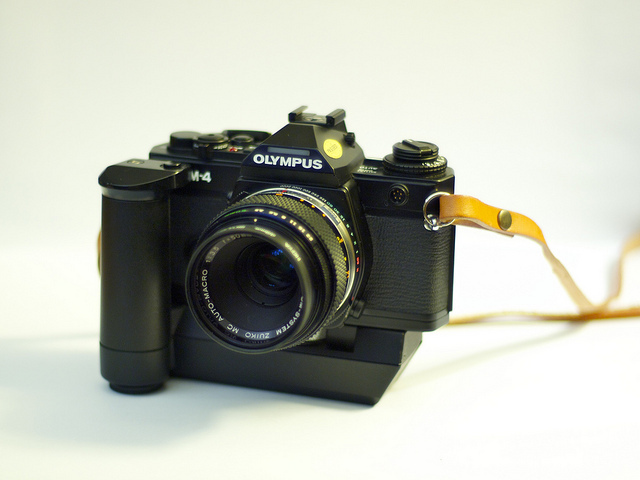 The OM-4 is the top-of-the-line body with shutter speeds up to 1/2000, made from 1983 to 1987. The body is built on an all-new aluminum casting, with a new type of viewfinder including dioptric correction. With this camera Olympus introduced a new, versatile light-metering system. Besides the normal center-weighted metering the camera is equipped with a “Multi Spot” metering system that allows storage of up to eight measurements on a 2% central spot before making an exposure.